Purley John Fisher Rugby Club would like to thank all our sponsors for their continued support. 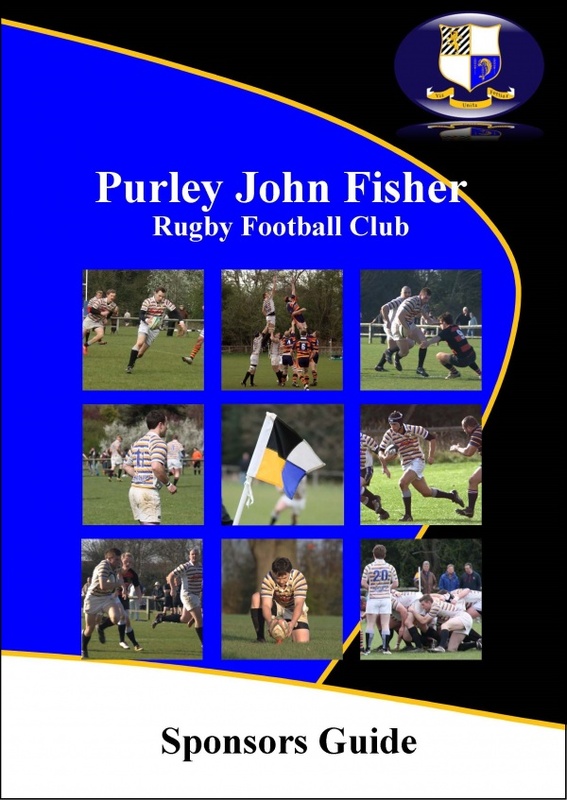 The sponsors guide brochure explains the advertising and sponsorship opportunities at Purley John Fisher Rugby Club and contains an order form which contains all the information required to order your package. Please download a copy to find out what we offer our sponsors for each package. Our packages can be specially tailored to your requirements, so please contact us to build the perfect package for you. You can also download a copy of our Club Handbook which shows the high quality that we provide for your advert and how it will be presented. We look forward to working with our new sponsors for next season, and we hope you can be one of them. To download the Sponsorship Guide Brochure and the Club Handbook please click on the links below.